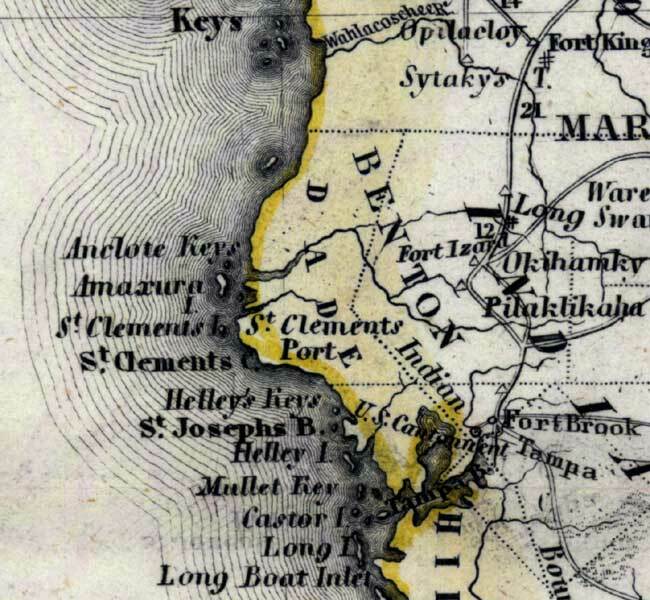 Description: Meyer's 1850 map of Florida is derived from the Tanner/Mitchell Universal atlas map of 1839, and similar to the 1845 maps. In this updated detail of Benton County, now Hernando County, waterways and townships are noted. Major features are Fort Izard, Fort Brook, Okihamky, and Pilaklikaha.